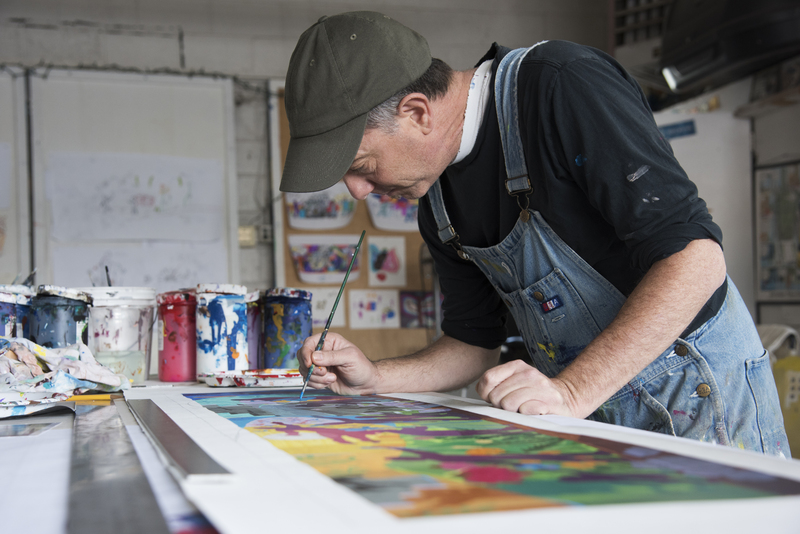 The Spencer Museum often commissions new works of art, but it’s not often that we ask an artist to reimagine something they have made before. 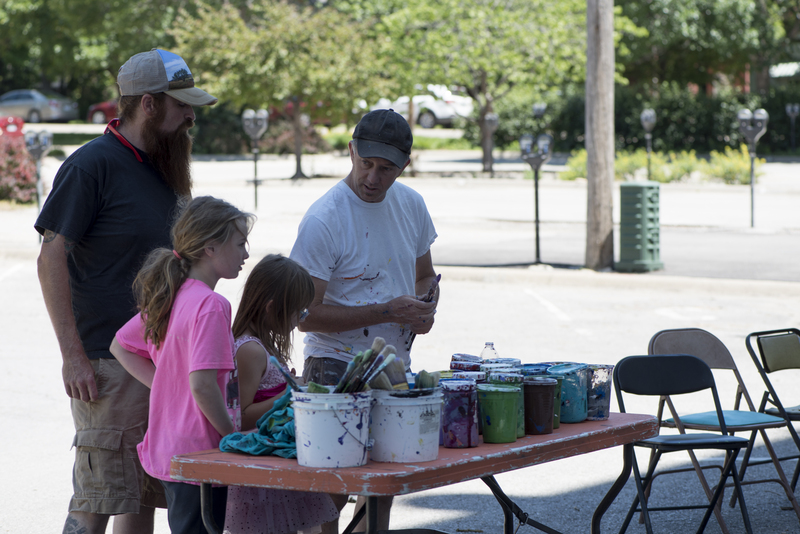 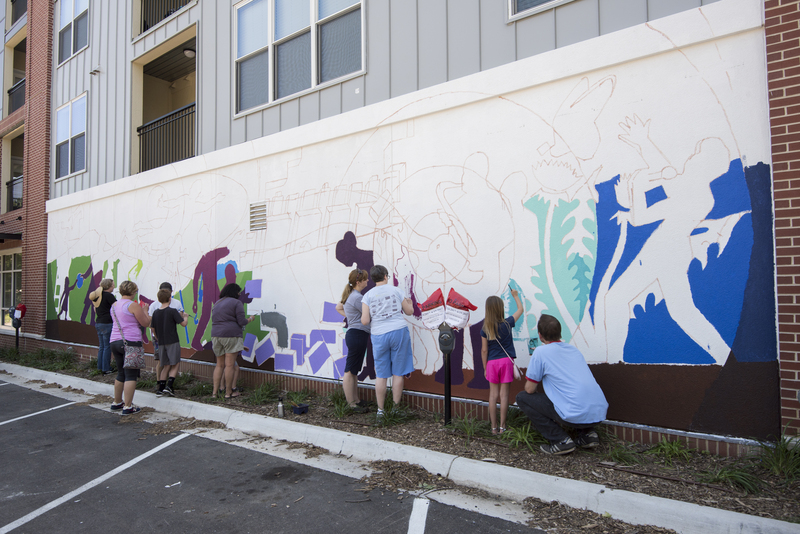 Local muralist Dave Loewenstein rose to this challenge when he accepted our invitation to paint a new version of the beloved Pollinators mural in downtown Lawrence. 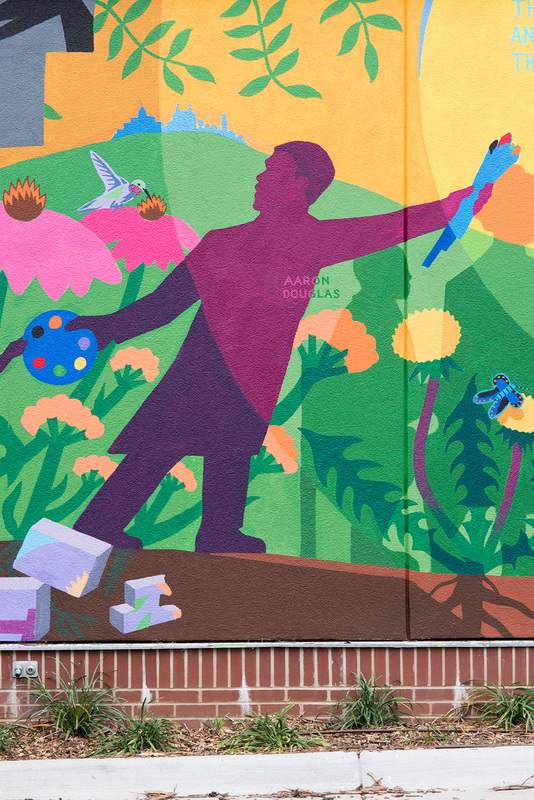 The original Pollinators mural, commissioned by the Museum and created by Loewenstein in 2007, was painted on the side of a building that was sold and demolished in March 2015. 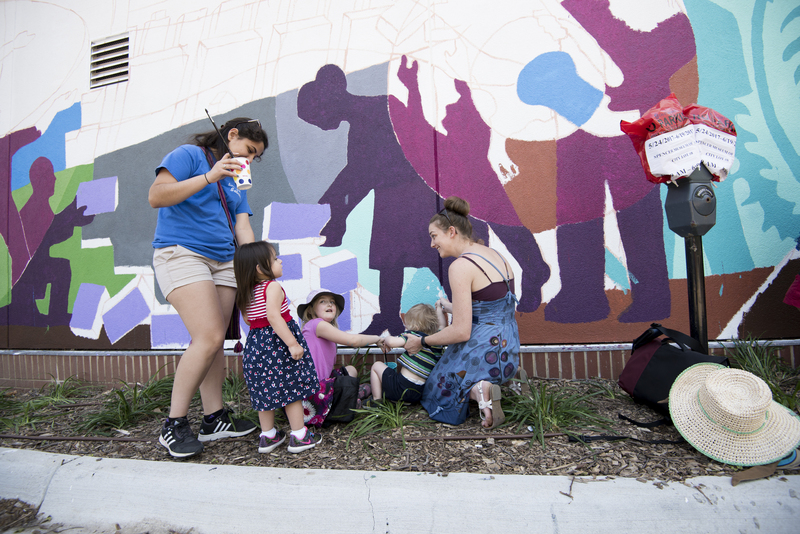 Through a series of conversations about the mural’s significance to the community, the Spencer Museum, the city of Lawrence, and property owner First Management reached an agreement to recreate the mural at the same site. 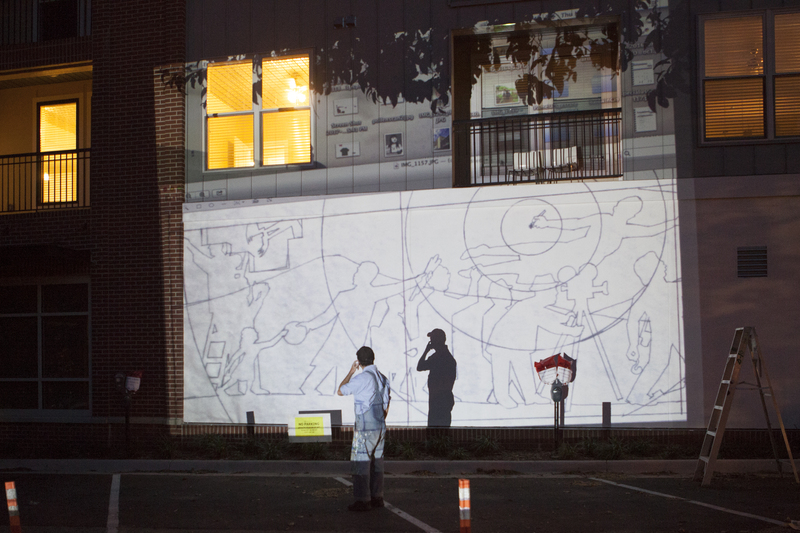 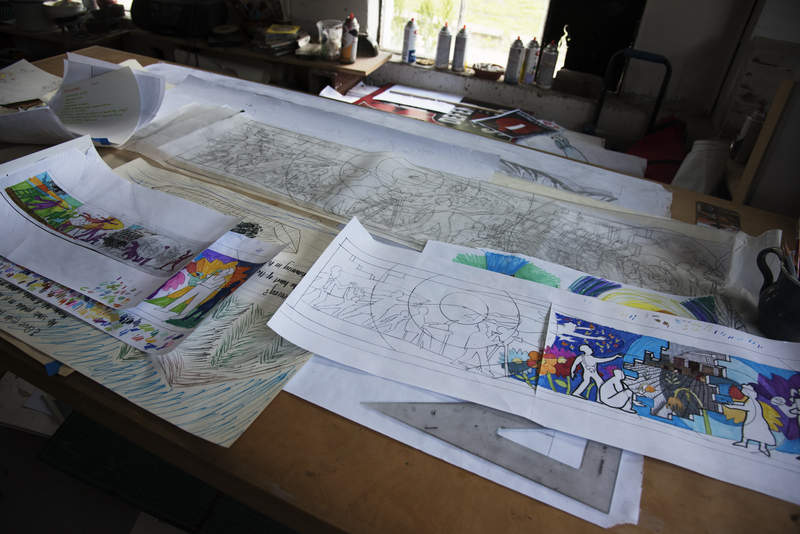 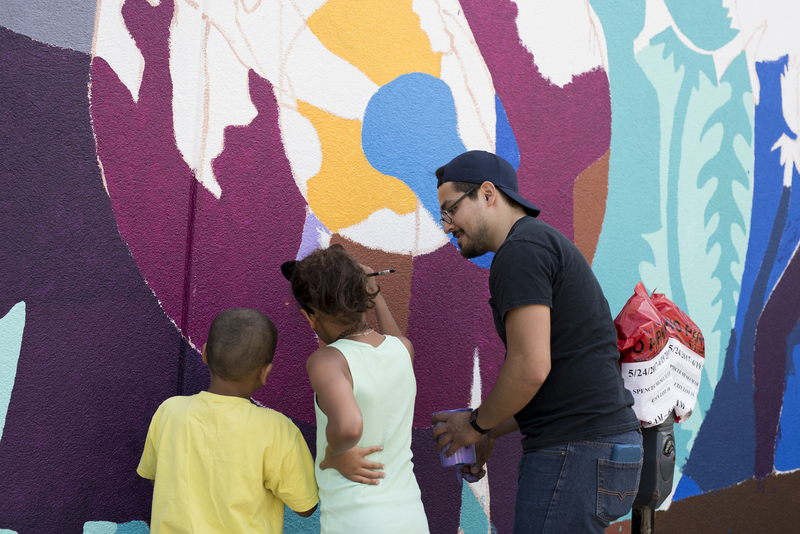 Loewenstein led an intensive, community-based process to create the mural, beginning with public input meetings in February 2017 and culminating in community painting days in May 2017. 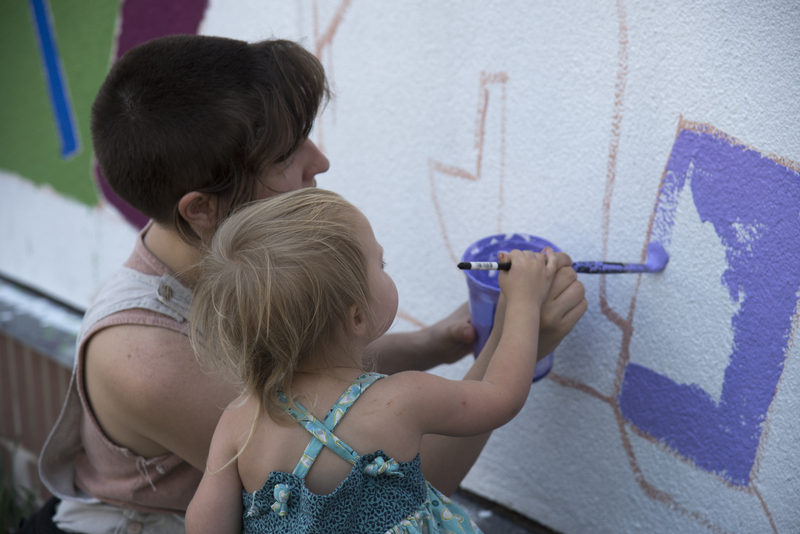 Overall, more than 160 people of all ages helped create the mural. 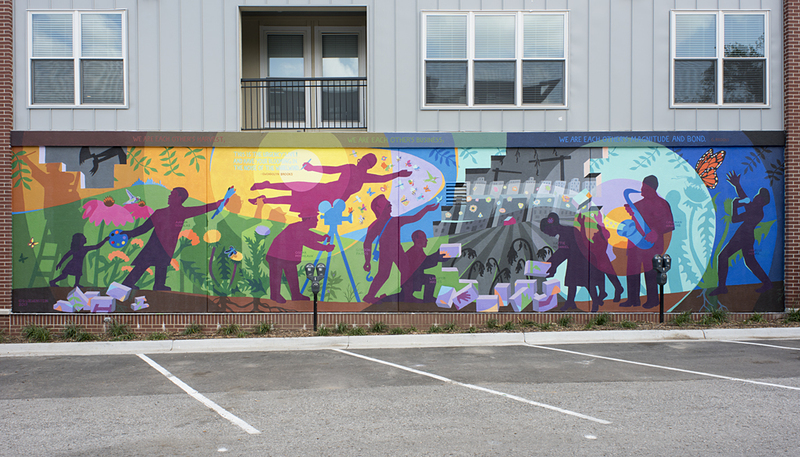 In addition to Loewenstein, the mural’s core design team included Kansas City artist Nedra Bonds, KU student Eugene Sarmiento, and Lawrence High School student Janada Birdling. 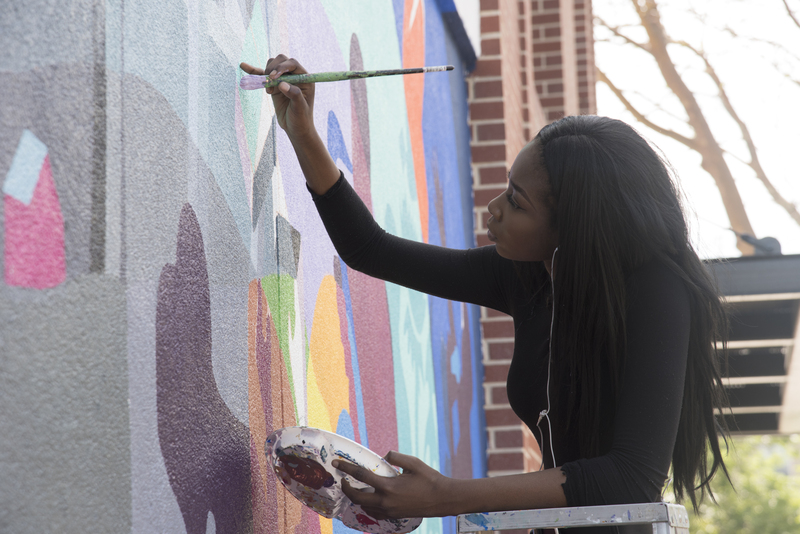 Inspired by its location near the Lawrence Farmers Market, both versions of the mural suggest a metaphorical relationship between the insects and birds that pollinate regional flowers and crops and African American artists with Kansas roots who have pollinated American culture. 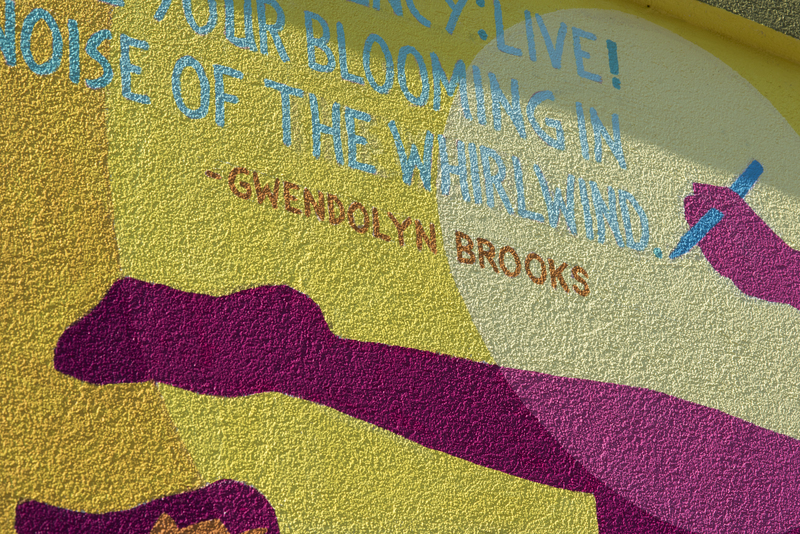 The reimagined Pollinators honors the seven artists from the original mural—Aaron Douglas, Gordon Parks, Gwendolyn Brooks, Langston Hughes, Oscar Micheaux, Hattie McDaniel, and Coleman Hawkins—with the addition of contemporary musician, actress, and Kansas City native Janelle Monáe.